4 Sept 2012: [Extension] First thing of the morning is to set up the lower walls. Any further cutting of upper walls is measured off this. It all fits nicely. 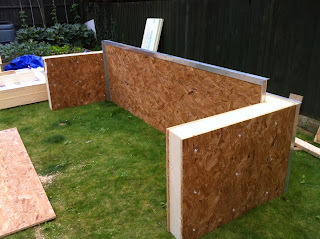 The upper side panels have to be built, and the east wall has a small window 600x1170... precisely! The OSB board is 1220 wide and we need the side panel to be 1360 wide, so we use 1.2mm aluminium sheet to join the panels. 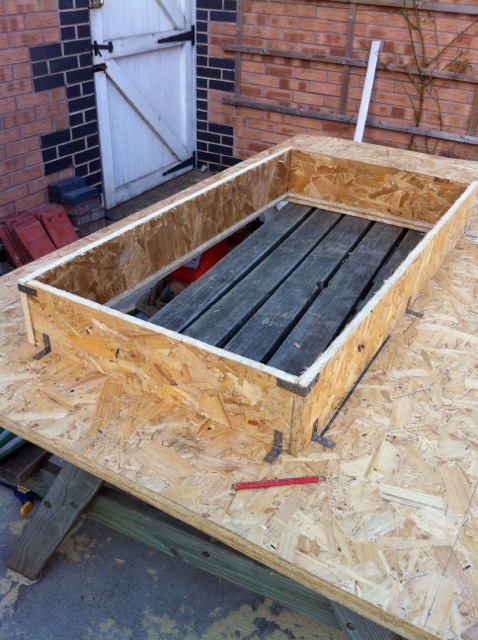 It is structural. Much of the weight goes through this joint. The upper side panel. 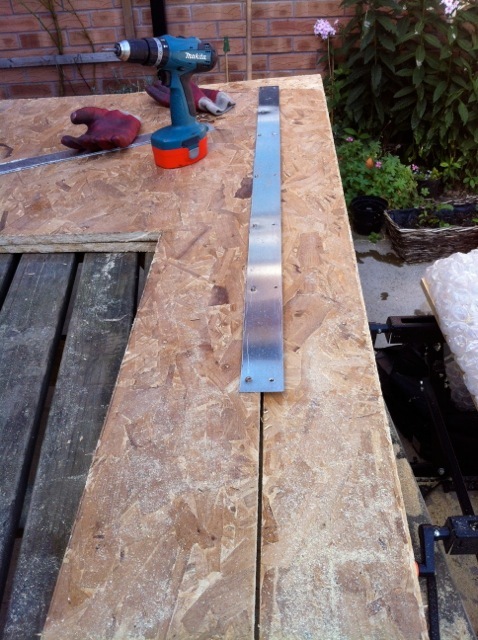 The window opening has to be constructed with millimetre accuracy for the triple glazed window that is coming. The window needs a reveal that is exactly the width of the insulation. 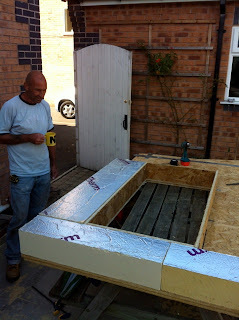 Andy has been forming insulation around the window reveal, a tight fit to eliminate airgaps. 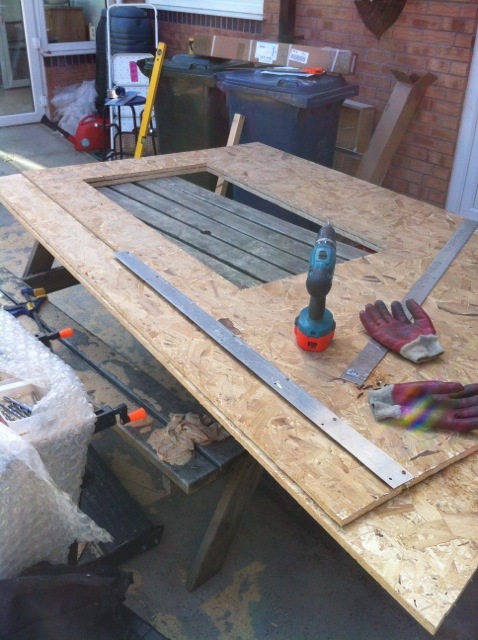 We didnt get the upper panels built in time to set them up on top of this framework - took too long to do the wood cutting and form the window. While Andy worked I spent too much time working with ArchiCAD finalising the cutting dimensions to the exact millimetre. Time useful spent, to avoid mistakes later. 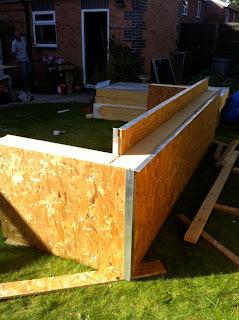 But another hour and a half should see them done, then we start on the large sill and the South Wall!